Rosenfeld Injury Lawyers LLC represents people with slip and fall injuries suffered in accidents involving dangerous conditions, premises liability incidents and other types of professional negligence. Our law firm has collected a series of slip and fall accident FAQs related to the medical and legal aspects of an accident occurring on another's property. Should you have additional questions, we invite you to contact our office for a free review of your legal rights. Victims of accidents involving slipping, tripping and falling typically have the legal right to seek financial compensation if the event occurred on another's residential or commercial property. Many of the injured have questions about their legal options. Our legal team has compiled a comprehensive list of the most common slip and fall accident injury frequently asked questions and posted the answers below. What do I do if I was injured in a slip and fall accident on someone else's property? If the event occurred at a commercial business establishment, it is important to contact the store, office or property manager immediately to ensure the incident is recorded. Next, take notes that describe the hazardous or dangerous condition where the fall occurred. Take photographs of the accident scene and your injuries and collect the names and contact information of all individuals who witnessed what happened. Finally, it is crucial to seek immediate medical attention to ensure your doctor documents your injuries. 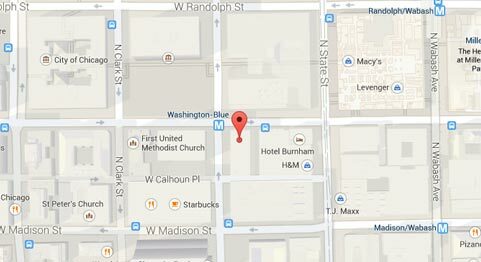 What the slip and fall injury occurred on a public sidewalk? Can I file a lawsuit? Probably. However, filing a compensation claim or lawsuit against a government agency can be challenging. That said, the municipality is legally bound to maintain the sidewalks and streets to ensure they remain in good repair. You might successfully win your case against the city if you can prove they failed to maintain the area properly. My slip and fall injury occurred on my neighbor's property. Do I still have a case? Most definitely. Your neighbor has a legal duty to ensure the safety of every social guest (an invitee) at their home or on their property. If a dangerous situation occurred, the property occupier or owner is legally bound to either repair the problem or warn every guest, including contract workers on the premises. 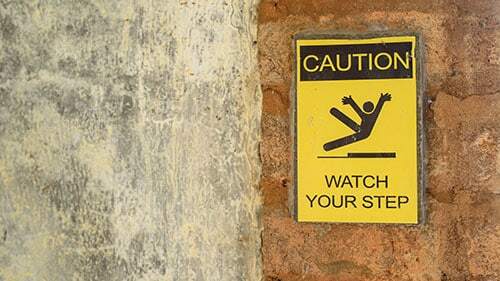 However, if you were trespassing at the time, the slip and fall event occurred you are not entitled to receive compensation. This rule does not apply to young trespassers who might have been enticed onto the property by an open pool, toys in the yard, or other condition. Can I receive compensation if I was injured in a slip and fall accident inside a store? Most likely. The unique facts of your case will determine if you have the right to seek recovery for your damages. You will likely need to prove that an unsafe condition existed inside the store, like a slippery floor, and that the employees knew existed or should have known and yet took no action to barricade the area or clean up the mess. How can I prove that the store “should have known” about the hazardous condition? In many cases, a personal injury attorney working on behalf of the plaintiff will prove that the property owner or occupier “should have known” the hazardous condition existed for more than a reasonable length of time but did not barricade the area or eliminate the danger. The law states that any reasonably careful individual responding under similar circumstances would have taken appropriate measures long before the store acted. Are property owners responsible for removing snow and ice to maintain safety? Generally, yes, they are. Illinois law does not require any occupier, owner or manager of a commercial or residential property to remove snow or ice while it is accumulating during inclement weather. However, once the snowfall or ice storm passes, those in charge of maintaining the premises must ensure the safety of every visitor and passerby on the property's sidewalks, walkways and parking lots. Additionally, if there is an unnatural accumulation of snow or ice like mounds of shoveled snow that causes a slip and trips event, those in charge of maintaining the property might be held legally liable. I think the property owner violated building code. With this be evidence in my case? Yes. In many cases, the plaintiff might prove in a court of law that negligence was involved because the owner of the premises violated relevant codes and statutes. To successfully resolve the case, the plaintiff might prove that the lack of action of the owner to remain in compliance with local applicable building statutes and codes led to the victim's injuries. As an example, if the plaintiff fell in a stairway that did not have required handrails, the victim may have a valid claim to receive financial compensation from the building owner. What are the most common causes involved in developing a slip and fall case? Where do most slip and fall accidents occur? The premises liability attorneys at Rosenfeld Injury Lawyers handle cases for clients who have slipped, fell and injured themselves in parking lots, grocery stores, supermarkets, on commercial sidewalks, and office buildings and at privately owned residential homes. My injury occurred 20 months ago. I now realize how hurt I am. Can I still file a lawsuit? Yes. You still have the legal right to file a lawsuit or compensation claim under Illinois statutes. The length of time you must submit a complaint is based on one of the numerous state statutes of limitation. What statute would be involved in your case could be difficult to identify without the assistance of a personal injury attorney who specializes in premises liability cases. If you wait to file until after the statute expires, you will forfeit your right to seek financial compensation forever. What can I expect to receive in my slip and fall case? Non-economic damages including pain, suffering, mental anguish, and emotional distress. Your attorney might be able to prove that the actions of those in charge of maintaining the premises were egregious or outrageous. If so, you may be able to obtain punitive damages awarded by the jury to punish the defendant for their actions. How long will it take to resolve my premises liability accident case? The facts and evidence in every case is unique, which makes it hard to determine how long it will take to resolve your premises liability case. In simple cases, victims with slipping, tripping and falling injuries can resolve their claim in as little as three months. However, most claims take significantly longer to gather evidence, speak to eyewitnesses, review medical records, and build a case for negotiating a settlement or taking the case to trial. How can I prove I have a valid slip and fall claim for compensation? Did you have the legal right to be present on the property or were you trespassing at the time? Did the circumstances that occurred the result of another's negligence? Did the event caused by the dangerous conditions directly lead to your physical harm? If I filed a lawsuit, who would be the defendants listed in the case? How much will you charge to review my case? Our law firm provides every potential client a no-obligation, initial case consultation at no charge. Call our law offices today at (888) 424-5757 to schedule an appointment. Let our team of attorneys discuss your case, listen to your complaints, and provide numerous legal options on how to ensure your family receives the financial compensation they deserve. We're financially strapped from medical bills. How can I afford to hire an attorney? At Rosenfeld Injury Lawyers LLC, we accept all personal injury cases through contingency fee agreements. This arrangement postpones the payment of all your legal services until after we have successfully resolved your claim for compensation. How will your legal team resolve my slip and fall claim? Negotiating a Settlement – Nearly all slip and fall compensation lawsuits and complaints are finalized during negotiated out of court settlement meetings where the plaintiff and defendant reach a compromise to settle the case. Typically, the defendant's attorneys work to negotiate a settlement to sidestep presenting their evidence at trial to eliminate an unpredictable outcome. Presenting the Case at Trial – In some cases, the defendant's attorneys fail to offer adequate financial compensation to the plaintiff forcing the need to litigate the case in court. While the litigation process can be long and demanding, it provides the injured party their day in court and the right to show evidence in front of a judge and jury. While taking the case to trial may seem like the ideal resolution option, it can have unpredictable outcomes for the plaintiff who might have obtained more compensation through a negotiated settlement. If you believe your loved one suffered severe harm or injury in a slip and fall incident occurring on another's property, contact Rosenfeld Injury Lawyers LLC to discuss your case for justice and financial recovery. Our premises liability attorneys have successfully prosecuted hundreds of slipping, tripping and falling cases throughout Illinois. Our legal team fights aggressively as an advocate for the rights of our clients who were harmed by another's negligence. We provide superior legal representation and will handle every aspect of your case from filing documents to negotiating a settlement or winning your case at trial. Call our law firm today at (888) 424-5757 to speak with our representatives who can assist you in scheduling your free, no-obligation case evaluation. No upfront retainers or fees are required because our personal injury law firm accepts every claim for compensation through contingency fee arrangements. This agreement postpones payment of our services until after we have successfully resolved your case at trial or through a negotiated out of court settlement. We provide every client a “No Win/No-Fee” Guarantee, meaning if we are unsuccessful at obtaining compensation on your behalf, you owe us nothing. Call us today to hear how we can help. Is a Business Liable If They're Told About a Spill and Don't Clean it up and Then Someone Slips and Falls?